Time for a little junior league talk. Who’s going to contend in the American League, and who’s going to be looking forward to football season come July (NCAA football, that is, as we all know that the NFL labor talks are going down to the wire at best)? Let’s look at things AL West to East this time out. Save the best for last, so it would seem. AL Central: As usual, the team to beat here is Kansas City. The Royals are coming off of an exciting World Series victory over the Cardinals and… Wait a minute. This isn’t 1986. Sorry, just had a bit of hometown nostalgia there. It’ll soon pass. No, this is 2011, and the team that appears poised for a division title hails from Detroit. Sure, last season was a .500 washout, but with the slew of young bats that the Tigers bring to the table and power pitchers Andy Oliver and Jacob Turner waiting in the wings, Detroit should make a return to the playoffs. As ever, though, they’ll have to get by a game Minnesota squad, with Morneau and Mauer anchoring a lineup that’s the envy of most squads west of the mighty Mississippi. They’ll take the race down to the wire. The question is, can Chicago make it a three-way? The White Sox fielded their most formidable squad since their title run only to finish 6 games back. I think they’ll again make a race of things, and wouldn’t be astonished to see them nip the crown at the wire. What would surprise me, however, would be for either the Cleveland Indians or my beloved Royals to finish higher than fourth in the race. Both squads are “rebuilding” and “waiting for next year” even before the starting gun is fired. Business as usual. AL East: Okay. Here’s where it gets good. The Rays surprised everyone by again taking baseball’s best division, then surprised no one by getting taken to the cleaners in the postseason. 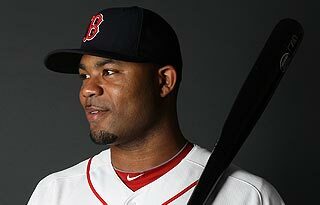 Since then, they’ve lost Carl Crawford and gained a couple of “idiots” – Johnny Damon and Manram. Not exactly a push, but they should again be in the mix through August. Past then… well, it’s tough to see anyone cracking through the Boston/New York mix this season. The Red Sox had the most productive offseason of anyone who didn’t sign Cliff Lee, picking up the aforementioned Crawford as well as Adrian Gonzalez from San Diego. Will they be enough to offset a rotation that leans heavily on “older” starters? My feeling is yes. Boston will wrest the division away from Tampa Bay and finish a full 3-4 games ahead of the Yankees, whose inability to bolster their rotation this offseason will be costly, even if they pull off an expected trade for a lefty sometime soon. Still, the Bronx bats should be enough to get them back to the dance with a wild card ticket, though not enough to return them to World Series prominence. Toronto could make things interesting, but may ultimately have to settle for being the best fourth-place team in baseball. The Orioles too should improve under solid skipper Buck Showalter, but any aspirations the Baltimore has should focus on escaping the cellar. And, your 2011 World Series – Philadelphia over Boston in six, as great pitching overcomes superior hitting. That’s about it, kiddies. At least, until the first half of the season turns everything upside down and I have to write my revised predictions… In the meantime: Go KC! Lee will be out most of the second half with injuries.